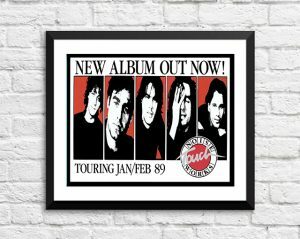 Classic Noiseworks Band Concert Posters and Memorabilia! Buy Online Now! Australian band Noiseworks formed in Sydney in 1985. Playing hard rock that owed as much to Australian pub bands such as Cold Chisel as it did to American bands like Bon Jovi, Noiseworks went on to become one of the more successful Australian rock acts of the late ’80s. The band released their self-titled debut in 1987, and it became an instant success, thanks to the strength of the singles “No Lies,” “Welcome to the World,” and “Take Me Back.” Noiseworks went triple platinum in Australia, selling over 210,000 copies. Their follow-up, 1989’s Touch was not as successful, but still sold over 150,000 units. For 1991’s Love vs Money, the band stripped away some of the synthesised elements of their sound, aiming for a mix of straightforward rock and dance grooves. Love vs Money produced two singles in the form of “RIP Millie” and the Cult-influenced “Hot Chilli Woman.” Despite this, Love vs Money could not live up to the success of their debut, and the band broke up soon afterwards. A best-of album appeared in 1994. New Zealand-born lead singer Jon Stevens went on to carve out a successful solo career, while band members Steve Balbi and Justin Stanley resurfaced in the mid-’90s with the short-lived Electric Hippies. In 1999, Stevens and original members Stuart Fraser and Kevin Nichol reformed the group under the moniker Noiseworks II. 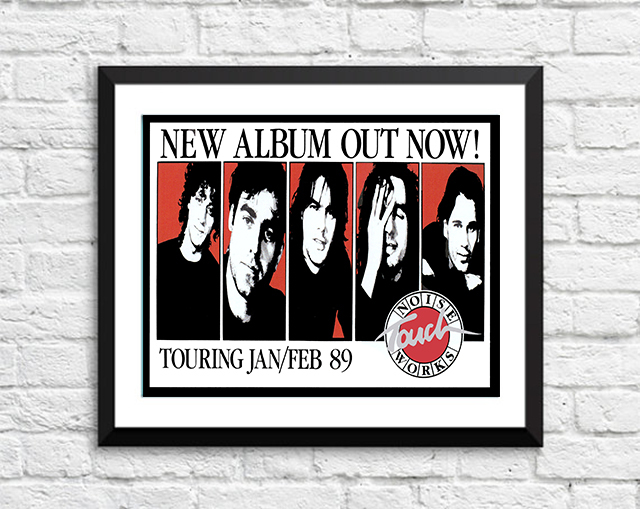 We stock some awesome Noiseworks Band Concert Posters.